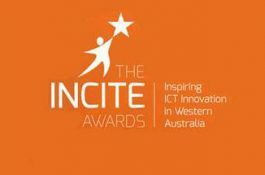 The prestigious Professional Achiever Award is given to an individual who has made an outstanding contribution to the state’s ICT industry. Simon Chan was awarded because “he has an extremely rare technical skill-set…. his electronic engineering capabilities span a number of disciplines including hardware, software development and project management. “All of these attributes have enabled him to achieve exceptional outcomes in the design and development of the Radlink controller and associated software applications as well as many previous innovational projects. Throughout his career he has been the unsung hero behind many successful, innovative and robust ICT products. “He has also assisted many young engineers, programmers and technicians to further their personal expansion and assist them in their career progressions. Simon possesses the ability to easily communicate complex concepts across a wide audience which is extremely rare in the industry. …. “In closing, Simon is not only an innovator; he is also a driver and completer ensuring that promised expectations are always met. ” Simon is pictured with The Hon Michael Mischin MLC (right). Radlink could not be more delighted with Simon’s success.